Is there such a thing as a “true” guru? A gentle sage atop a mountain who lives only to practice and nurture the spiritual growth of students? Like many students, I’ve always carried this idealized and universal notion close to my heart. Back in school, my favorite professors were the genuine, off-beat ones who really lived for their work. Today, as a new yoga student, I feel the same way about the teachers who genuinely seem to live and breathe yoga. Nevertheless, in the real world, this ideal can, understandably, be hard to live up to. Ask Jews, Catholics and Protestants as to which group is more “true” or follows the “real”, “orthodox” or idealized tradition. Better yet – don’t go there. Nor Sikh, Hindu, Shia or Sunni, etc. etc. Since their dawn, spiritual pursuits have had a natural tendency to splinter and sub-divide as zealous followers strive to maintain the “pure”, “true”, “uncorrupted” ideals of their faith – hence, thousand years of religious war. Indeed, the desire for spiritual purity is a powerful force. Recently, the blogospere was buzzing about John Friend, a well-liked and highly regarded teacher and founder of Anusara yoga (nicely summarized here). Some of the buzz centered on the age-old question of whether the new tradition of Anusara yoga is really, truly valid and also whether Friend is a “true” guru or more of a (now rather wealthy) profit-seeking entrepreneur. 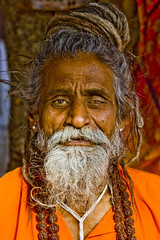 Combing through millennia of South Asia’s vast and diverse literature, he discovers that yogis are usually portrayed as wonder-workers or sorcerers who use their dangerous supernatural abilities—which can include raising the dead, possession, and levitation—to acquire power, money, and sexual gratification. As White shows, even those yogis who aren’t downright villainous bear little resemblance to Western assumptions about them. At turns rollicking and sophisticated, Sinister Yogis tears down the image of yogis as detached, contemplative teachers, finally placing them in their proper context. Of course, the recent blogosphere buzz about John Friend is nothing of this sort – its just a few impassioned blog posts here and there (watch Yoga Inc. for a more intense debate). Perhaps this reflects one of the great things about yoga. Even with its own age-old debate of “true guru vs. showman”, it remains so uniquely free of the epic strife and hard feelings associated with other spiritual traditions. Its bare-bones, bare-foot simplicity offers little for debate and intellectual hang-ups and makes it easy to accommodate its many splintered traditions within any given yoga shala. As I mentioned earlier (here), I really enjoyed David Gordon White‘s The Alchemical Body – an in-depth exploration into the interplay of yoga with spirituality, alchemy and the local political economics of India from 1,500 years ago and even earlier. Before science and spirituality became dis-integrated, separate explorations (in the past 200 years), they were tightly intertwined and integrated for thousands of years in the practice of ALCHEMY. Just as alchemists (yogis were among the first and best alchemists!) 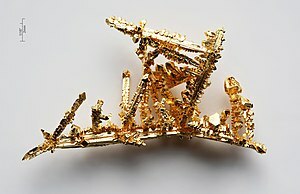 tried to transmutate lesser metals into gold, they also sought to improve and perfect their bodies and minds. Eventually, the process became quite standardized across cultures along both chemical and psychological dimensions. Calcination – Basically this means to destroy the substance. Normally by burning it to ashes. Mentally it is the destruction of the ego. Yoga postures can be so darn difficult. Practice certainly has a way of crushing the ego. Much to explore here as modern science increasingly seeks to re-integrate science and spirituality. As I’ve mentioned, I’m a new yoga student – very new – very, very far away from the archetypal, experienced yoga practitioners one often sees in books and videos (ok, maybe not these guys). I’m inspired, and do realize the journey will be a long one. However, is the journey a straight path? Does it have twists and turns? What IS the endpoint anyway? and how do I know I’m there? “Yoga is the cessation of movements in the consciousness” (I.2 yogah cittavritti nirodhah). Reduced to its simplest terms, yoga (“yoking”) is concerned with impeding movement, with the immobilization with all that is mobile within the body. Ultimate stillness. The kind demonstrated by the elderly yogi who was able to voluntarily slow his heart for 8 days (covered here). So this is where the practice ends – in physical and mental stillness – awareness with stillness. More compassionate? More patient? Healthier? Perhaps this comes with the stillness? My gut and experience so far says yes, this is where I want to go. Not to withdraw from life, my family and friends like a lone yogi on a mountaintop, but to acquire a more peaceful and patient disposition that helps myself and others to better cope with life’s twists and turns. One first immobilizes the body through the postures; next one immobilizes the breaths through diaphragmatic retention; one then immobilizes the seed through the “seals” [bhandas]; and finally one immobilizes the mind through concentration on the subtle inner reverberations of the phonemes. What a difficult, even heroic undertaking the immobilization of the body constitutes, yet what fantastic results it yields! For immobilization leads to reversal, reversal to transformation, and transformation is tantamount to bodily immortality and, precisely, to the [supposed] supernatural ability to transform, reverse, or immobilize whatever one desires in the physical world (siddhi). Reversal? Transformation? Much to explore here in the years to come. Am having a great time reading David Gordon White‘s The Alchemical Body (here also) – an incredibly in-depth exploration into the interplay of yoga with spirituality, alchemy and the local political economics of India from 1,500 years ago and even earlier. Man, there is just so much to learn about the early history of yoga and the origins of the rituals and practices of today. One basic and central theme that emerges early in the book is that ancient religious practices are rooted in a fundamental notion of “body-world”, “spirit-world” and various “in-between” or “transitionary” states. This 3-fold view of the world is rather universal to human cultures and perhaps extends very far back in human history – perhaps emerging early in our evolutionary tree as humans/neanderthals evolved a mental capacity to recognize and contemplate their own mortality. For instance, evidence for religious behavior and burial rites reach as way far back as 300,000 years ago in the Middle Paleolithic seems to suggest that early humans acknowledged “something” beyond the physical earthy body. So it seems that the concepts I personally contemplate in my own practice – my inner self, reaching for a deeper connection to something beyond, etc. – are the very same issues that our ancient ancestors struggled with as well. Clearly the contemplative practices – like those borne out in yoga are old – Mohenjo-daro old – which makes it hard to know their ancient history. In some way though, it feels wonderful to partake in this very old, very primal tradition – to push my gaze inward as humans have been trying to do for millennia. With a recognition of our mortality in mind, many contemplative and religious practices – just like yoga – are very much centered around making transitions or connections from the earthly body to the more pure and immortal spirit world. White points out that for millennia, one universally intuitive way that humans would make such bridges was via ritualized sacrifices. By offering animal, blood or other types of sacrifices to spiritual beings, early human cultures attempted to open a connection, offer appeasement or other intermediate linkage with the spirit world. Within a few centuries of the composition of [the Satapatha Brahmana], a revolution in Indian thought would issue into the notion that humans too could internalize the sacrifice and thereby entirely bypass the mechanism of external sacrifice. This inward turn, which would ground the entire gnostic and nondualist project of the Upanisads, also sowed the seeds for the innovation of a body of techniques for internal bodily transformation – i.e. for the practice of hatha yoga. Of vital importance to the yogic tradition is the fact that the sacrificial fires in question are gathered together in one’s body. There they serve as both a cremation pyre – by which the now-obsolete mundane, social body is shown to have truly died to the world – and, in the post-crematory existence of the sannyasin (the “renouncer”), as the seat of sacrifice, which has now been internalized. It is here, in the inner fires of tapas, which fuel the offerings of one’s vital breaths in the inner sacrifice known as the pranagnihotra, that the practice of yoga very likely had its theoretical origins. So perhaps at a very deep, very primal level, my yoga practice is a type of sacrifice – an ancient, hopeful attempt to make a connection with a spirituality or something larger and more everlasting than my flabby, aging body. To recognize – most poignantly during “corpse pose” – that I am mortal, but wish not to be so.